Atkinson, Andelson, Loya, Ruud & Romo (AALRR) climbed the rankings of California’s largest law firms published in the September 2011 edition of California Lawyer magazine by achieving the 36th position on the list. The listing also recognizes that the firm increased the number of both women and minority partners in 2011. 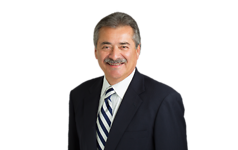 AALRR Managing Partner James C. Romo states that the Firm does not grow for the sake of growth and cites a simple formula for the Firm's increased numbers: "Private businesses and public agencies are moving toward AALRR because of a recognition of the Firm's effective approach to representation in a cost conscious manner and preeminent attorneys desire to work for a Firm that counts so many thought leaders among its highly stable partnership. In essence, it’s a unique synergy between intelligent clients and quality attorneys that has sustained our growth. Whichever side of the equation you look at -- whether as clients or as attorneys looking to surround themselves with supportive colleagues -- you can see the strength of the Firm is on your side." Atkinson, Andelson, Loya, Ruud & Romo is a leading California law firm for employers in private and public sectors, with core practice areas in employment, labor, construction, education, real estate, corporate, taxation, bankruptcy, and litigation. The firm has seven offices positioned in major California markets. For further information please visit www.aalrr.com.